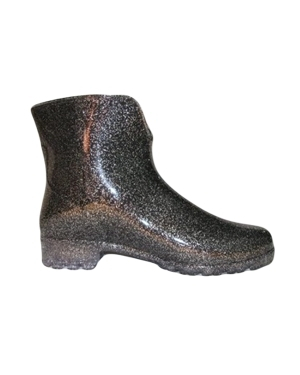 Elegant shorter gumboot with black background and a smart pop of glitter coming through over the whole boot. Ankle boot for easy slip on and comfort form fit for all day wearing. Excellent Italian made boot.